The Sofa & Chair Company manufactures some of the highest quality sofas in London, direct from our West London Workshop. 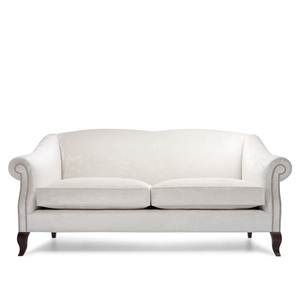 We have a stunning variety of beautifully designed sofas and armchairs, in both classic and contemporary styles. We also offer footstool versions, as well as many compositions of corner units in a number of our sofas and chairs. If you can't find exactly what you're looking for in our collection, any piece can be altered to your requirements. We also have a bespoke library of sofas and chairs, which can be tailored to your needs. We also maintain a very large stock of most of our best selling pieces in the most popular fabrics and colours. Any of these items are available for delivery in the London area, in as little as 24 hours.